One of the most well-known examples of a peacemaker is Winnie the Pooh. 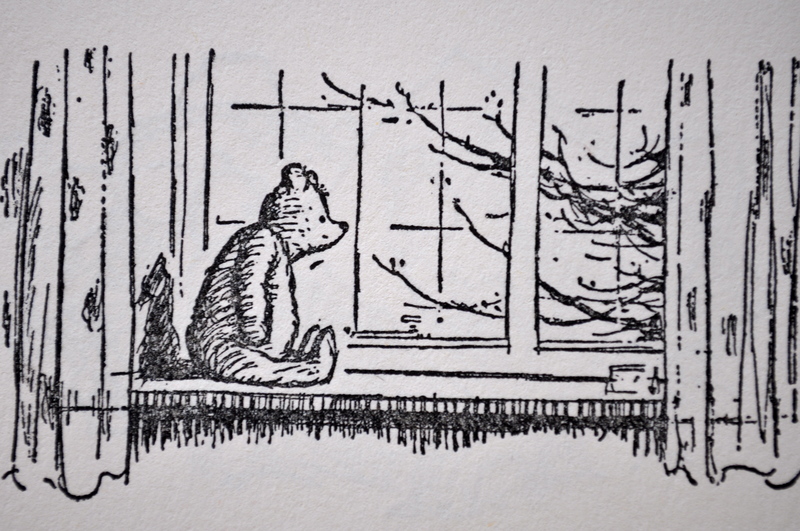 This beloved bear, created by A.A. Milne in 1924, is slow, steadfast, a wonderfully comforting friend to poor, anxious Piglet, and generally a very content being. Not much gets under his skin as he ambles around the Hundred Acre Wood, spouting off adorably philosophic truisms. So what exactly makes him an avoider? For starters, he enjoys peace and comfort above all else. Give him a warm den and a pot of honey, and he is able to be perfectly (if a bit sleepily) content. He is an optimist and always eager to lose himself in helping or attending to the unrest of others. Peacemakers, like Winnie the Pooh, are very fond of numbing as a defense mechanism against anxiety. Whether through honey, which is Pooh’s addiction of choice, excessive television, talkativeness, drugs, or alcohol, the peacemaker is very susceptible to using addiction as a means of avoiding troubling thoughts or circumstances. Winnie the Pooh exemplifies many of the strengths and weaknesses of the Peacemaker. His strengths include being generous, patient, open-minded, caring, and diplomatic. He is kind, gentle, undemanding, and reassuring, the ultimate companion to walk with through times of doubt or worry. However, his weaknesses, which are shared by many peacemakers, include being forgetful, lazy, complacent, spaced-out, and unassertive. In times of stress, peacemakers flee from responsibility and trouble that involves them directly, avoiding people and situations that cause discomfort. They avoid even parts of themselves that are unsettling. The challenge for peacemakers is to come out of hiding so to speak and to begin to believe that who they are, apart from their ability to mediate and provide comfort, is worthwhile. This means embracing the total package of emotions, which can be difficult for peacemakers, who would much prefer to experience only harmony and comfort. Therefore, the peacemaker likely must accept that some degree of suffering, anger, and discomfort is inevitable in life and that he or she must learn to wake up to these feelings in order to become a fully integrated human being. This post is planned as the first of a series that will examine the 9 types of the Enneagram Personality System. Today we are discussing type 9, the Peacemaker. To take a free version of the test, go here.